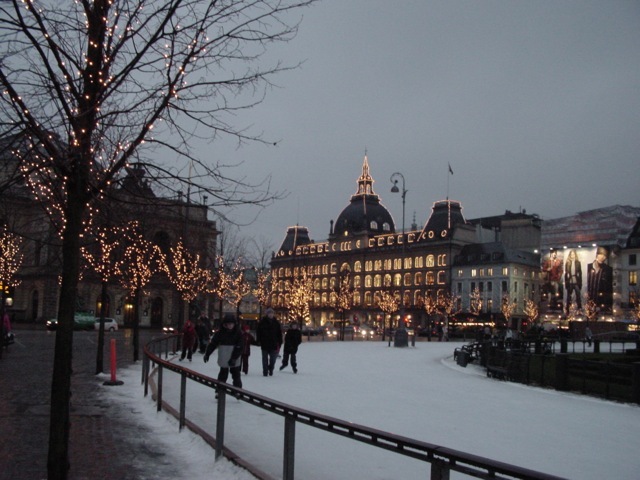 Today's guess post comes from Tess Pajaron, who shares her experience in Denmark. I've written a bit about the Danish Green Card and having been to Copenhagen twice, I can tell you it's lovely. That being said, Tess doesn't touch on the cost of living there, which is quite high. The photos are from Tess's personal collection and are used with her permission. When I was younger, like many of you, I dreamt of moving overseas one day. I had traveled the world with my family, seen the diversity and fell instantly in love. So to move to a new location where I would be surrounded by new experiences, new cultures, and of course a new language, seemed like nothing but a thrill to me. My last year of University, I finished out my studies in Marketing and International Business at the Copenhagen Business School. 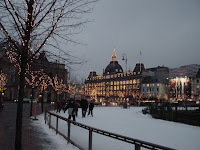 Here, I lived with a host family and found myself a Danish boyfriend which allowed me to become full immersed in the culture of this incredible country. In fact, I loved it so much that I found a job and was hired to do international marketing at a Danish firm specifically to the American market. For just over a total of three years I lived in the capital of this incredible country and found my way in a unique but wonderful culture. If you have ever dreamt of moving to Scandinavia, there are some important things to know about the country to help you get accustomed to life in Denmark. 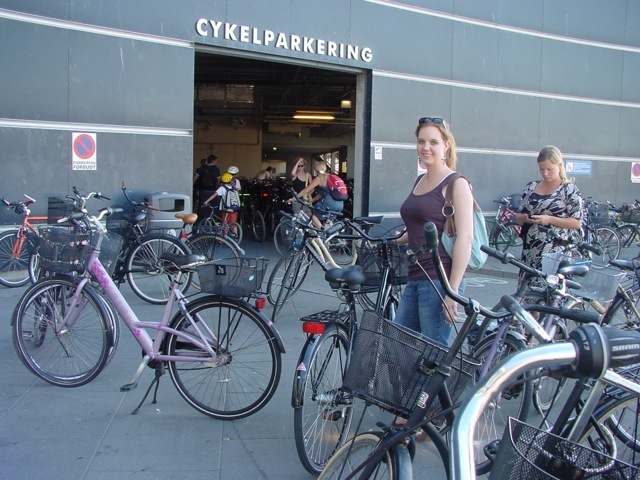 In Denmark, bikes are used far more than cars. In fact, the center of the capital of the country closes down on some days to car traffic and only bikes or pedestrians are allowed. Denmark is also home to the world’s longest walking street. The Danes value the non-motorized modes of transportation and with everything so close by getting around is usually not a problem. Public transportation is also superb in this country so you should have no problem getting to anywhere that is a bit further than a bike ride away. If you cannot afford a bike at first, city bikes are available for free. Simply find a rack (they’re all over the city) and place your 20 kroner coin in the slot. This will free the bike. Once you have finished riding, return the bike to any location and you will get your 20 kroner coin back. The country values bike riding and has developed wide bike lanes to help people get around in this popular mode of transportation. The Danes have admitted that it is often times very difficult for them to make new friends. Because the culture in this small country of only 5 million is so tightly knit, there is somewhat of uneasiness among befriending foreigners. In my experience, this uneasiness was easy to overcome in just a few ways. Understandably no one wants a foreigner coming in and changing their country to their ideals and ignore the rich history this region has to offer. Their language is very important to them and is closely tied to their culture. If you make no effort to learn the language and expect that just because the vast majority of the country speaks English you won’t have to learn, you are very wrong. Learning the language shows a respect for the Danish culture and will quickly drop any walls of fear held by Danes allowing you to become closer to them in immerse yourself better in their culture. For foreigners, a free language course is offered through something called Studieskolen. This is a great place to start and allows you to meet other expats, as well as Danes who have an interest in helping others learn about their great country. This country has been said to be one of the hardest to get into in the world, and from my experience that is true. In the 1970’s, this socialist country opened up their doors and gave anybody who wanted a new home a place to live. This led to many people coming from poorer countries and living off the generosity of the government without integrating into the culture or learning the language – yet another reason why a foreigner learning Danish is so important. This quickly caused the government to close their doors and while they are slowly loosening the reins on who they will allow in, it is not easy. This singular term is the best way for any expat to fully understand the Danish culture. It is a non-translatable word, but most closely it means ‘Cozy’. Danes love their time spent with friends and family. They eat dinner for hours at a time without a rush to the television set (except when there is a big soccer game). They get together and have a ‘hyggeligt’ time together. The sooner any expat fully learns what this feels like, and any Dane will be glad to help with that, the sooner they will feel accustomed to life in Denmark. Tess Pajaron is part of the team behind Open Colleges. She has traveled to many different countries and loves to explore various cultures and histories. She can be also seen on her social media profile at Google+.